Is there a fee for converting from Postpaid to Prepaid? If you are locked out of your phone, it may ask you to enter the PUK1 code in order to unlock it. 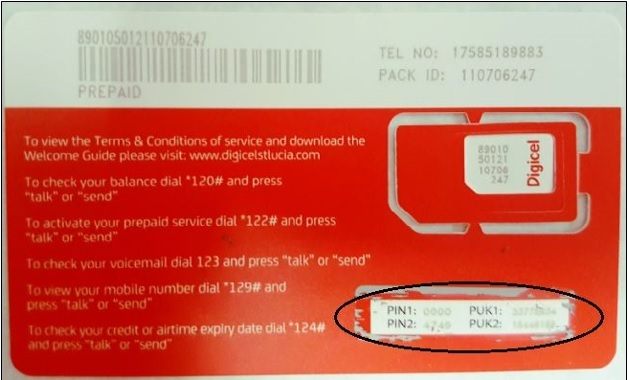 The PIN and PUK codes can be found on the SIM card packet that is provided to you when the sim was purchased. 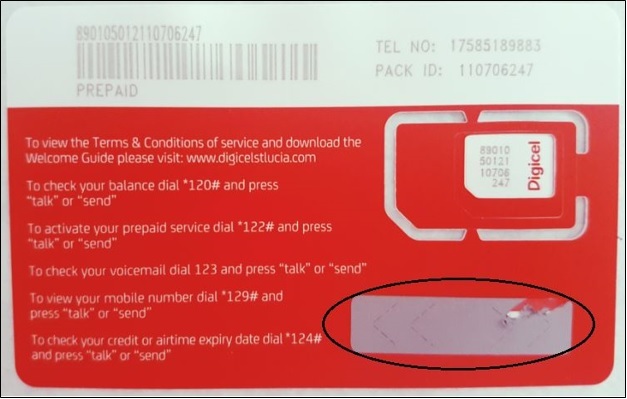 There is a PUK 1 and PUK 2 code to help with securing your SIM pin. You can use it to unlock a blocked SIM pin. If you're not in possession of your SIM packet (SIM card holder), click here to register for your PUK1. If you wish to speak with an agent, click the floating Live Chat option on your screen. You will be required to provide the agent with – the account holder’s name and identification information or the date of activation of the sim card. Step 2. Using a coin, gently scratch out the grey section as shown below to see your PIN & PUK.